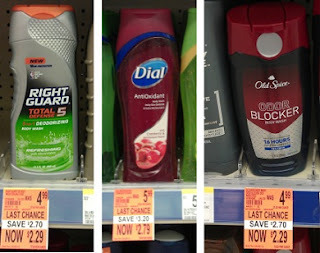 The next time you're at Walgreen's, check out the body wash aisle to see if your store has any clearance deals. If so, you can get some great deals because there happens to be a few coupons to pair with the sales! You can find both coupons using zip code 90210, under Personal Care. Thanks for the deals and photo, Wild for Wags!